Chicken Enchilada Soup to make in the slow cooker or Instant Pot will fit the bill for a perfect cold-weather meal! 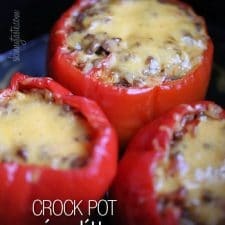 And I love how this recipe can work for the Instant Pot, slow cooker, or on the stove, so everyone can choose the method they prefer! 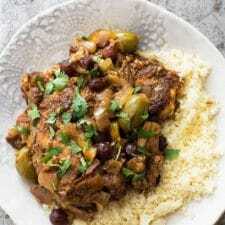 Click Here to see The Best Instant Pot Soup Recipes. 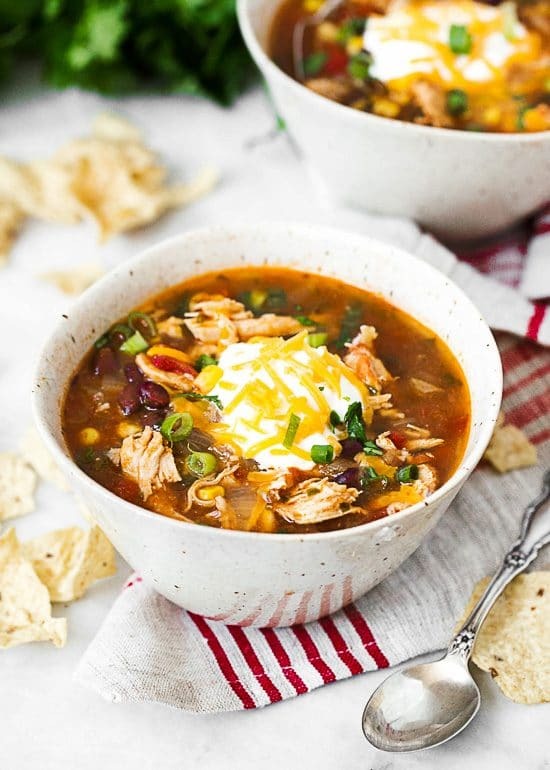 For Friday Favorites we spotlight past recipes that you may have missed, and this Chicken Enchilada Soup from Skinnytaste to make in the Slow Cooker and Instant Pot would be a great soup to make this weekend! Chicken Enchilada Soup is a perfect rendition of all the things you love about chicken enchiladas put into one big bowl! This recipe will not disappoint, as you can make it in one pot, choose the method of cooking you prefer, and enjoy a nice big bowl of delicious Chicken Enchilada Soup! Gina modifies her traditional chicken enchilada recipe by adding corn, beans, and chicken broth. The warm and tempting soup then steps it up a notch with some great toppings of cheese, scallions, cilantro, sour cream, and avocado. A perfect ending before enjoying a warm and delicious bowl of soup! Get the complete recipe for Chicken Enchilada Soup (Slow Cooker and Instant Pot) from Skinnytaste.